﻿﻿﻿﻿Current Ordained and Associate Level Chaplains International chaplains may pay for their 2 year license renewals using our convenient online payment system by clicking the payment link below. Ministry licenses are good for a 2 year period and expires in the month of December in the year the renewal is due. If you are a chaplain candidate do not use the payment link below. 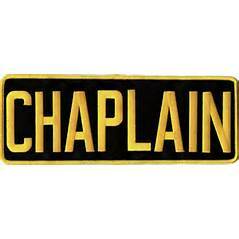 All chaplain candidates must complete the application process and include the required dues with the application.